Yoruba socio-political group, Afenifere, has urged the United Nations, UN, Special Rapporteur on genocide to investigate what it called the alleged ethnic cleansing by herdsmen in Nigeria. The call followed that of a former Chief of Army Staff, Lt. General Theophelus Yakubu Danjuma, retd, who had at the weekend told Nigerians to defend themselves against killings by Fulani herdsmen. Rising from a meeting held at the country home of their national leader, Pa Reuben Fasoranti, Afenifere said Danjuma’s allegation of ethnic cleansing was weighty and damning. 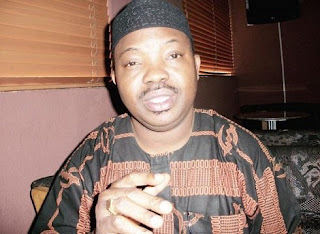 Addressing reporters, Afenifere’s National Publicity Secretary, Yinka Odumakin, said, “the meeting noticed the recent comments on ethnic cleansing across the country and the complicity of the armed forces by General Theophilus Danjuma. “Danjuma should be taken seriously because as former Chief of Army Staff and Defence Minister, he knows and has a deep knowledge of the military and could not have spoken in vain. “The military, in responding to Danjuma’s allegations, claimed they are neutral in the one sided killing that is going on in Nigeria when those, who should enforce the law and ensure that the killing is stopped and killers are arrested, claimed neutrality when Nigerians are being slaughtered in droves. “This is the greatest admission of the fact that their state aided genocide going on in Nigeria when the Army begins to claim responsibility. “We demand, from Nigerian authorities, the immediate disarmament of the exclusive terror machine in the hands of herdsmen and the reorganisation of the architecture of security of Nigeria to reflect federal character.